CST was awarded multi-year contracts though the Department of Homeland Security SBIR program to develop next generation remote identity proofing methods. The scope of effort includes a proprietary "Composite Identity Model" that CST has had in development for more than three years. CST successfully demonstrated how multiple identity proofing methods can be combined in order to exponentially strengthen the overall level of identity assurance. Work on commercializing this innovative concept is ongoing. Recently, for the Department of Interior, CST critically evaluated two mission-essential legacy applications and provided assessments of repair vs. replace options. Advanced survey techniques and interviews were a critical part of the requirements capture. The final deliverable included compiled findings, design/investment factors, and cost benefit analysis and recommendations. The CST delivered assessments, are now under review by agency leadership. Across worldwide DoD networks, CST performed critical security operations and system troubleshooting on identity management applications , while adapting to emerging requirements and delivering under severe time constraints. Information assurance work included PII protection, server scans, STIGs and remediation, triage, C&A (ATO), contingency and incident response plans. To securely deploy these solutions for the Federal Government, CST set up hardened physical and virtual servers meeting DoD mandated IA standards to ensure server/network security, application deployment best practices, and information security by using firewalls, white lists, certificates, CRLs, encryption, and intrusion detection. A recent CST developed identity management system amassed millions of PII records including SSNs and bio-metrics. CST managed a global system of more than 50 Linux servers across multiple worldwide DoD networks. CST maintained server health, data integrity, replication, backups, and guarded against cyber attacks. 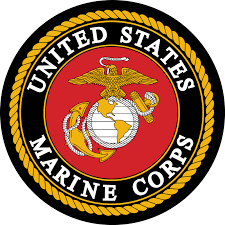 The Marines Corps wanted to integrate its legacy access control and security applications with authoritative databases for better user identification authentication, including integration with CAC/PIV cards. Like many organizations, the USMC had separate physical access control systems at each location, sometimes even different legacy systems on a single base. None of these ID systems communicated with each other, which led to separate data silos with little or no interoperability. CST analyzed legacy systems, specified new requirements, installed hardware, and developed next generation software to support the mission. CST architected solutions are founded on Enterprise Service Bus (ESB) and Service Oriented Architecture (SOA) frameworks and are deployed on multiple databases including Microsoft SQL, Oracle, MySQL, ElasticSearch, RedShift, and Mongo. CST has considerable history addressing ad hoc exigent tasking with special short-lived teams. In one example for the Navy, CST enhanced a DoD-owned perimeter gate application to accept commercially issued RapidGate ID cards. This task was completed in only four weeks during the year-end holiday season. CST collaborated with multiple stakeholders to orchestrate a successful integration, including processing of daily data feeds, adopting additional IA controls and an expanded reporting and auditing framework. This solution became an integral part of a framework that processes more than two million credential transactions every week. All activity is logged and supported with customized dashboards and reports. 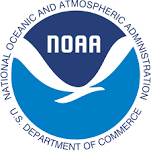 NOAA was seeking ways to reduce manpower required to support the frequent public forum meetings that it hosts. CST designed and developed a prototype for a customized event attendance and tracking solution that allows visitors to pre-register for NOAA events without requiring a stop at a local Pass and ID office. System components included: event invitation/coordination/approval workflow; mobile handhelds to read and authenticate passports and state-issued driver’s licenses; a public-facing visitor pre-enrollment site with built in protection and control of PII. CST created a credentialing and badging solution that was fielded for the DOD in security-challenged military environments including Bahrain and Djibouti. To support deployment, CST developed a real-time photo and fingerprint capture and verification process that transmitted the biometrics to BIMA and processed real-time responses. Field reports confirm that dangerous individuals are being matched and denied access to U.S. military installations. The Navy was struggling to manage almost 50,000 funerals a year using a handful of databases inefficiently scattered regionally throughout the U.S. Funerals were being missed and leadership was frustrated with obscured visibility. CST assessed the current system and architected a new enterprise Web application available to all regions that improved operational management of this important program, as well as significantly enhancing annual reports delivered to the U.S. Congress.